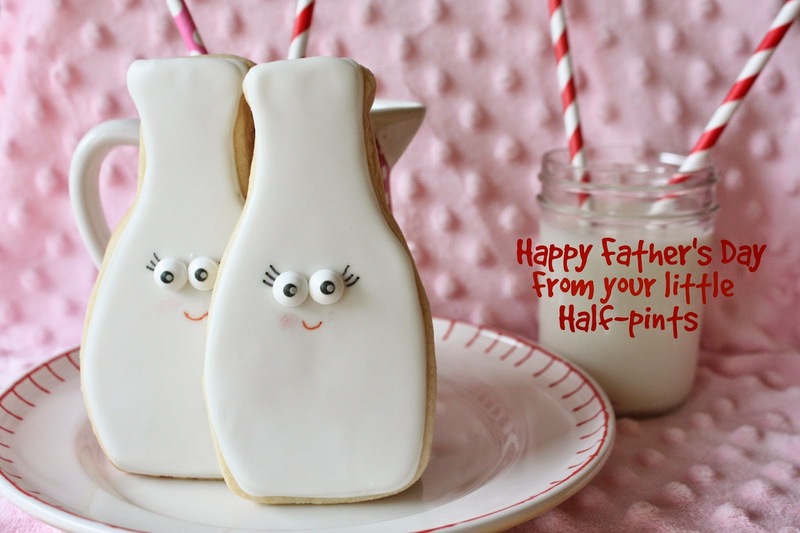 When I was a little girl, I gave a card to my dad for Father's Day that pictured a big, smiling milk bottle with a little, smiling milk bottle leaning next to it, saying: "Happy Father's Day from your little half pint." I remember seeing that card tucked into a drawer in my parent's room, for years. I always thought it was cute. Who knew that decades later that little image would pop into my head when I was thinking of ideas for Father's Day cookies? I was so excited! I knew it would be simple...and cute! These cookies could not be any more simple! 2. Cut out shapes with the cutter and transfer to the baking sheet with a spatula. 3. Put baking sheet in the freezer for about 10 minutes to help hold the shape of the cookies when baked. 4. Bake cookies according to recipe, or until edges begin to turn golden brown. 6. Using a #3 tip and the untinted royal icing, outline and fill the cookies. 7. Let the cookies dry 6-8 hours or overnight. 8. Apply white dots of white gel food coloring to the eyes, with a toothpick or the wooden handle tip of a small paintbrush. 9. Use a toothpick to apply a small dab of royal icing onto the back of the candy eyes and adhere them to the cookie. 10. Apply eyelashes with the black food marker to the cookies. 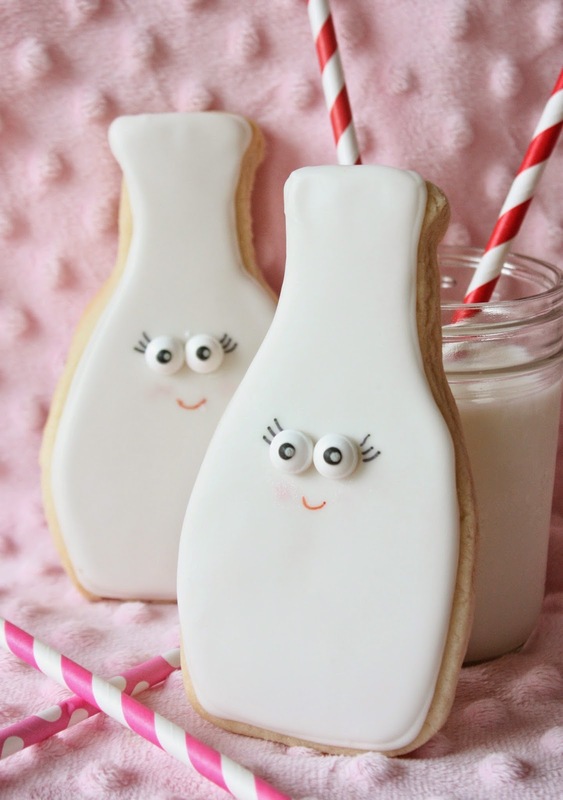 If you prefer, you can add the lashes before you place the eyes on the cookies. 11. Use the red food marker to add the mouth. 12. Dip a cotton swab into some pink luster dust and apply to the cheeks. You are amazing, Sue. These are so adorable. Thanks for your sweet comment, Angie! these are sooo adorable! How cute would they be with some royal icing decorated cookies to look like choco chip cookie!? Oh Sue, these are just precious - love 'em! I just melted! They are precious!! !